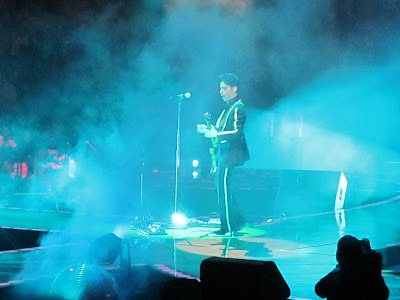 TheWirk.com ~ voted BallHyped.com's 2010 "Best Independent Sports Blog": Prince ~ Welcome 2 America is a MUST SEE... If you can go, GO! 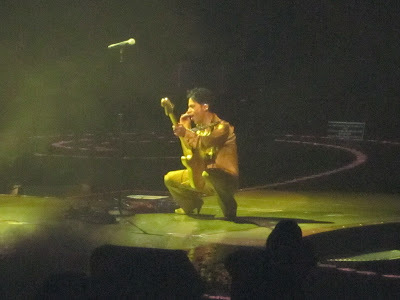 Prince ~ Welcome 2 America is a MUST SEE... If you can go, GO! 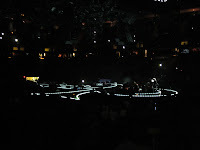 Last night Prince et al performed his 2nd show for the Welcome 2 America tour at the Izod Center in the Meadowlands. The no camera and no recording policy wasn't enforced and everyone had a cell phone or camera out recording the action. My friend, Yonathan and I got there close to 8:30PM and the security guy said that Prince would go on at 9:30. Wrong. Prince was on stage at 9. He opened up with "Let's Go Crazy". I had chills when I heard him repeat, "Dearly Beloved" twice over the mic because I knew we were in for a treat. As he ascended onto the stage from underneath (i.e. 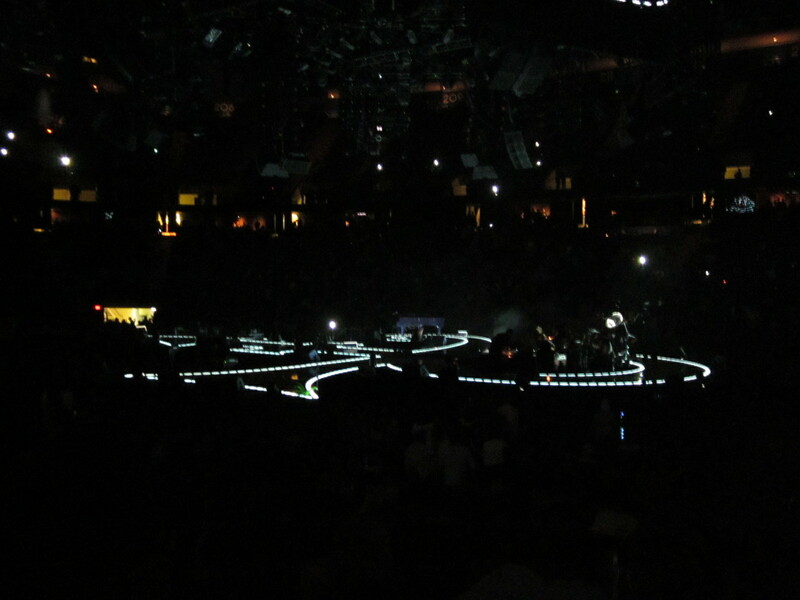 the stage was shaped like the symbol he used to go by), the crowd went nuts. Let's go Crazy, Little Red Corvette, Controversy, Take Me With You, If I Was Your Girlfriend, Purple Rain, Until the End of Time, etc. are some of the songs he sang. I didn't keep track of the set list. If you want it, I'm sure you can Google it. Someone had to have written it down. Prince can still move. I've heard that he has hip issues, but based on what I saw ~ he's still smooth and fluid. The man doesn't look like he's aged, and he's 52 years old. 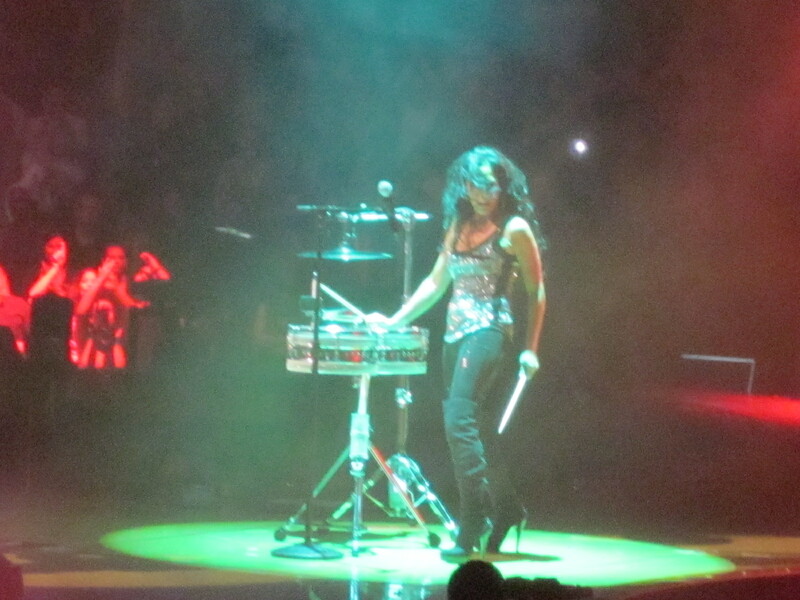 Sheila E came out and rocked it. I absolutely love "Glamorous Life" and wow did she knock it out. She looks fantastic. Prince and Sheila E performed "A Love Bizarre", and I was taken "back". It looked like they were having so much fun. Ask me how annoyed I am that I have the Miami Heat v Washington Wizards game tonight... If it wasn't for the game, I'd be at Madison Square Garden, watching Prince perform tonight. Like I said in the title of this post, "If you can go, GO!" And if you go, don't leave early! 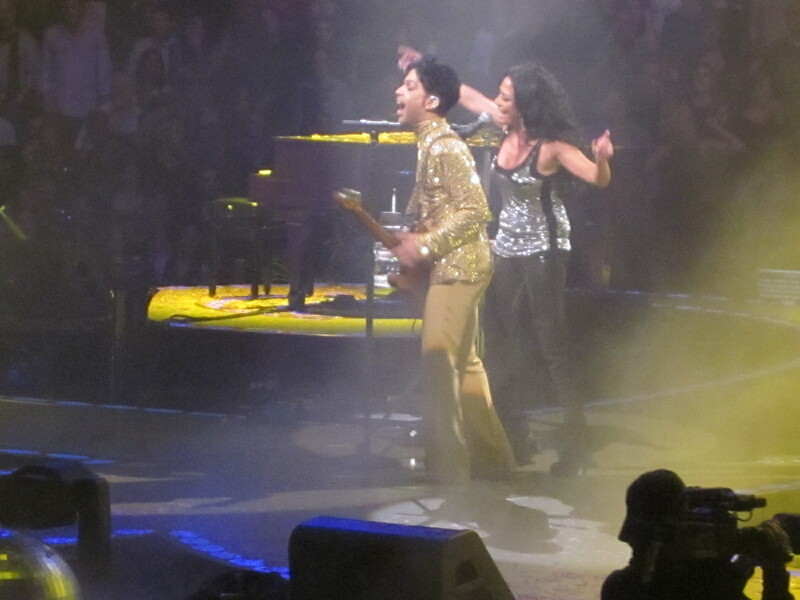 It's not over til it's over and Prince came out more than once at the "end" of last night's show (i.e. and sometimes he took a while to come back out). Don't be one of the fools who missed out because they wanted to beat traffic. This is Prince. Show some respect. It was incredible. My 10th Prince show, and definitely one of the most fun. Loved hearing all of the old school stuff again. I am very familiar with "the look" that you get when you mention going to see Prince. People have no idea that they are missing the experience of a lifetime! Oh well, we are the fortunate ones. I'm so glad he did the old stuff. Til this day it's AMAZING. And to see Sheila E ~ what a treat. Great to see so many fans out there supporting him. I wish he'd schedule more dates. I can't get enough PRINCE.